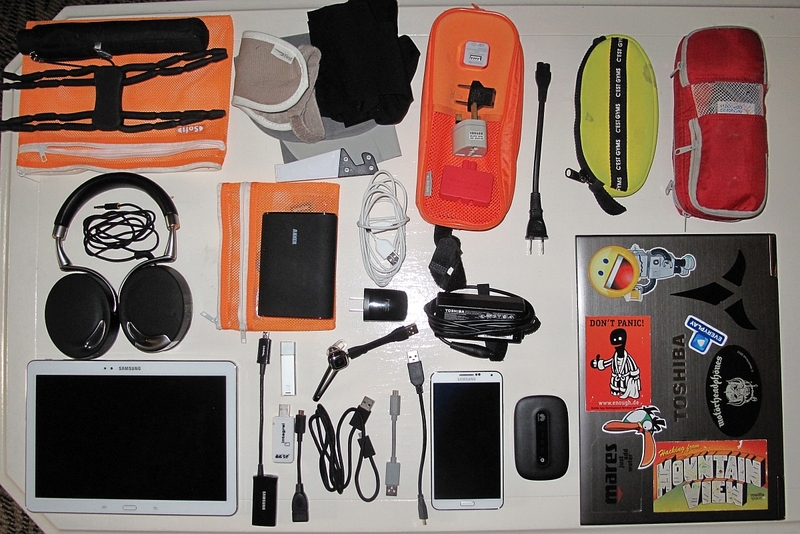 Flyer Kit – What to carry on Business travel | The quest for the perfect, minimalist travelling gear. Top productivity – minimum hassle. After a gap of more than 3 years, its time for a return to activity in 2018. 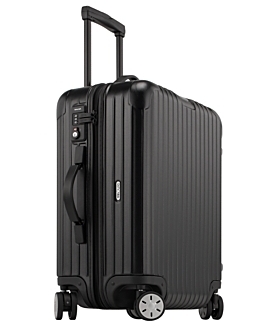 For multi-city trips with no chance to do clothes washing, especially if going from winter to summer in the same trip, the normal Rimowa is the biggest hand luggage possible in the old size, but a bit tight – necessitating good use of the Scott eVest. I have been using an external battery with 2 USB outputs for a year or so. Mainly for charging my phone when on an extended mission away from USB power, e.g. walking around or on planes without seat-power. 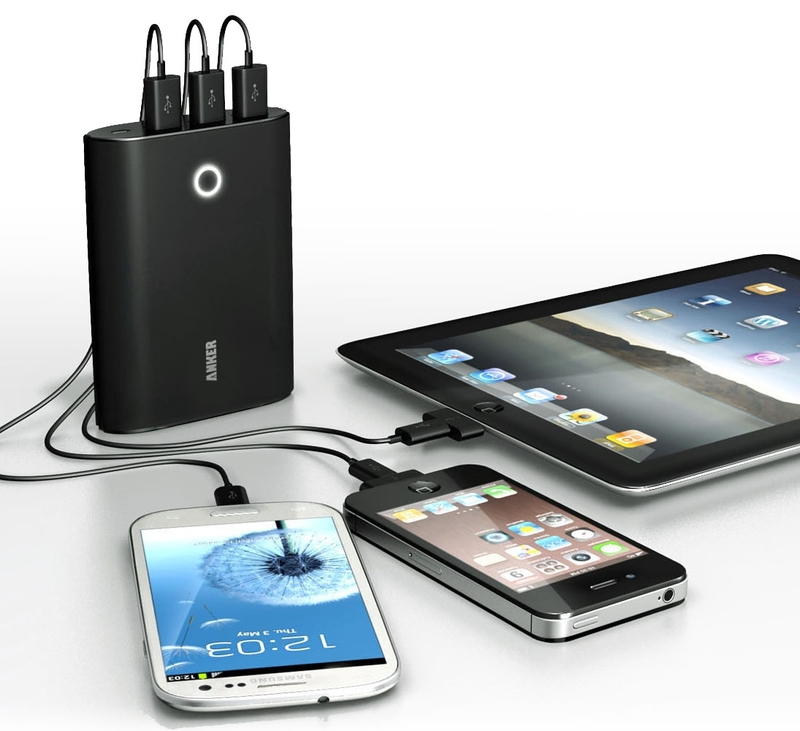 I just upgraded from a smaller using to a really nice piece of work – an Anker Astro 12Ah battery with 3 outputs. The capacity numbers are a bit silly because they don’t say how much energy (e.g. Watt Hours) and you can’s compute that without the voltage they use for the batteries. Nevertheless this unit will charge a Galaxy Note Tablet twice or a Galaxy S4 or Note 4 times at least – so nice and juicy. The power INPUT (Charge) is microUSB which means compatibility with the “world standard”. Use the same cable for charging and powering. 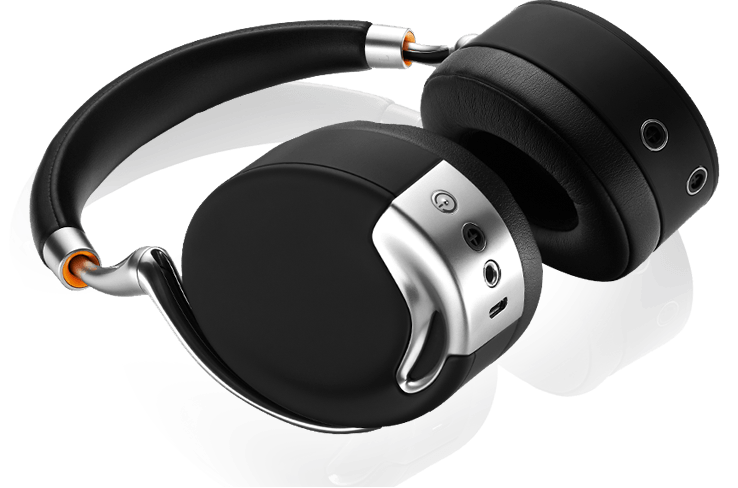 I have been using it for 1 month now and it works really well – powering a Note 3 and a Note 10.1 (2014), Bluetooth headset, Parrot Zik headphones and various iPhones, iPads etc that friends or colleagues need boosting.